At UA, we offer a comprehensive musical education with individualized mentoring from a world-class faculty. 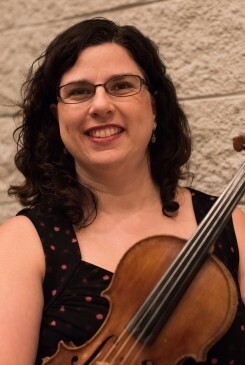 Our tradition of excellence lives on in alumni playing in top orchestras around the country, teaching on university faculties, and working in every corner of the music field. As a student here, you can count on a well-rounded, interdisciplinary musical education that prepares you to step out into the world equipped for success. We are committed to immersing students in the dynamic culture of the 21st century musical landscape, while also honoring and passing on the great traditions of the past. UA music students can choose from a wide variety of specializations for their majors: performance, education, therapy, business, and theory. In the spirit of southern hospitality, we welcome music minors and students from outside disciplines to participate in our ensembles and take lessons, giving them much of the same exposure to faculty and performance opportunities as music majors receive. The UA School of Music offers more than 200 performances each year, including our 12 student ensembles, faculty and student recitals, and guest artists. As a string student at UA, you would be a member of the 80-piece Huxford Symphony Orchestra, and have opportunities to immerse yourself in chamber music, participate in our jazz and contemporary music programs, and play solo recitals. We invite you to explore our website and get to know us a little better. As you will see, we are a lot more than a football school! If you have any questions about the UA School of Music, email the faculty directly. We also invite you to connect with us on Twitter, Facebook, and Instagram.